Published on July 26, 2010 in National Archaeology Day. 0 Comments Tags: Festival of British Archaeology. 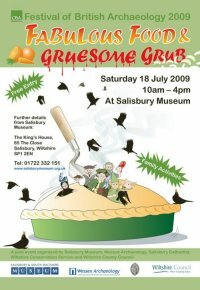 Sarah, one of our Coastal and Marine Learning and Access Officers joined the Wessex team for Medieval mayhem at Salisbury and South Wiltshire Museum’s “Pilgrims and Pageants” Festival of British Archaeology 2010 celebrations last weekend. It was a great day, with the sun shining and a record number of people coming along to join in with the many fun hands-on activities on offer. 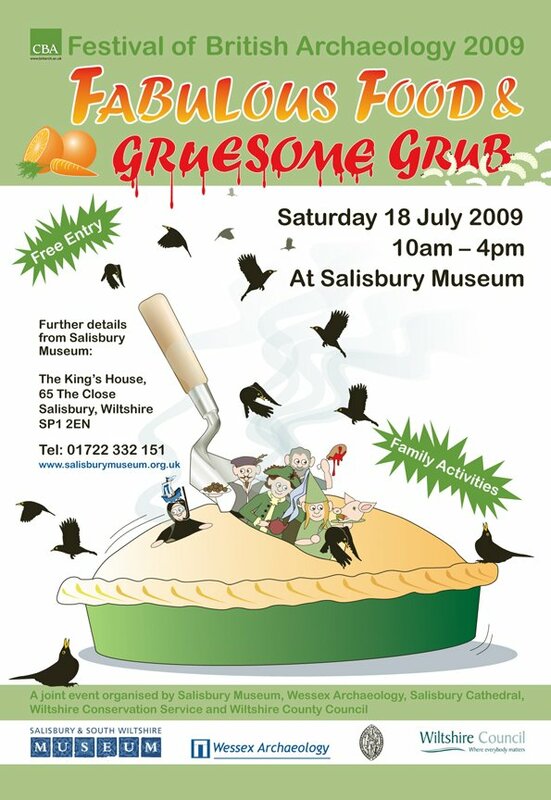 Salisbury Museum selected the medieval theme for the day, “Pilgrims and Pageants”, because 150 years ago the museum collection was started through the discovery, in Salisbury, of a medieval drain packed full of artefacts. To highlight the Drainage Collection, as it is called, Wessex Archaeology reconstructed the watery drain and its contents for people to get their hands wet and explore – fortunately our drain was not as smelly or dirty as a real medieval drain! We also had sandpit excavations, pilgrim badge and heraldic shield making as well as Time Team’s Phil Harding around to answer people’s questions. 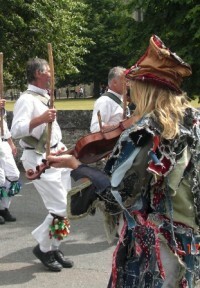 Families also got the opportunity to see traditional Morris dancing and re-enactments of medieval fighting. The day ended fantastically with the pageant parade. Led by a dragon, the children made fancy dress and hobby horses and followed noisily around the outside of the museum. A great day for everyone involved – looking forward to next year already.